Wherever you are, it is easier than ever to set your very own local currency with flexible choices for number format (decimal point or thousand separator). You can easily find it at the first section of Payment tab. 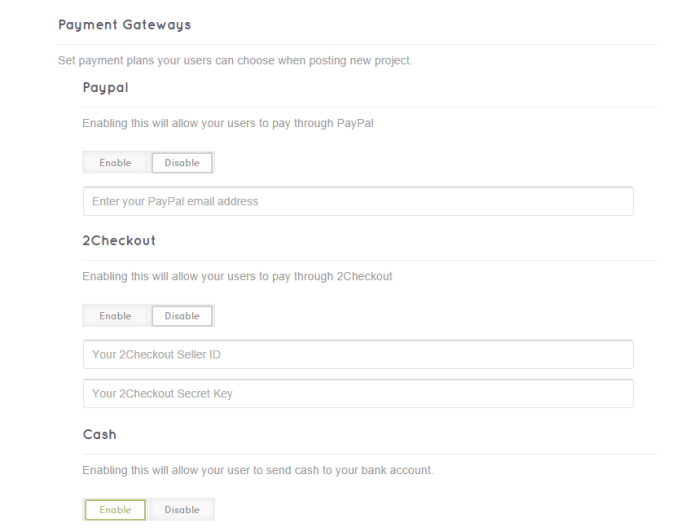 Payment gateways DirectoryEngine is supported with three popular payment gateways: PayPal, 2CheckOut, and of course Cash. You can decide which payment gateways you want to use and disable the others. Payment plans are price packages which you can create for your users to choose when posting places. Each payment plan shows the price, the time period a place will be active on your site and a number of projects can be posted. - Number of events can post in each listing: decide how many events an employer can post using this plan. - Short description of this package: enter a short description of this plan. 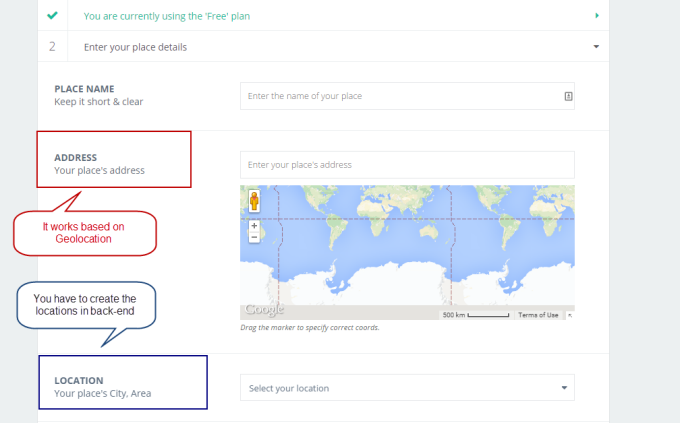 - Featured place: once you select this option, the places which are posted using this plan will be marked as featured. 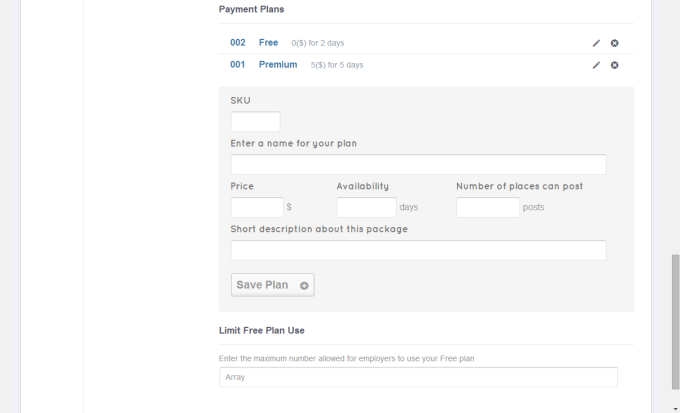 Edit a payment plan You can also edit the created plans by clicking the Pen icon next to it. After complete all the needed settings, you can use the Payment test Mode to check it. Once you enable this function, you can test the payment without charging your account. 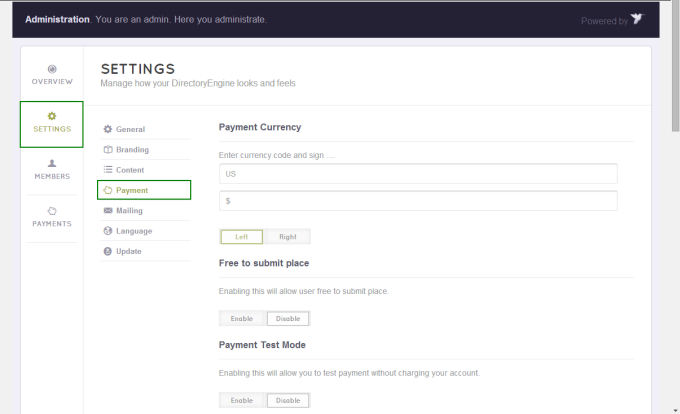 According to your settings, whenever the user posts a listing, they will see the payment system appear as below. • Insert a name for the category. • Choose a color represent the category. • Choose a symbol represent the category. After that, you can also set sub-categories for the main one. • Follow the steps you as you create a new category. - If you don’t want the created category anymore, you absolutely can delete it by clicking the “X” symbol. 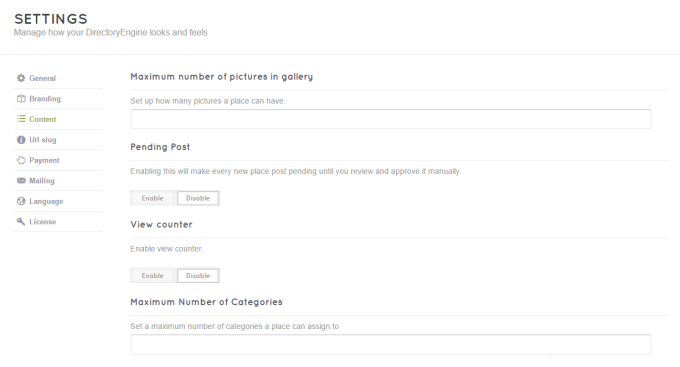 - You can also arrange the order of the categories by dragging them to the right positions. 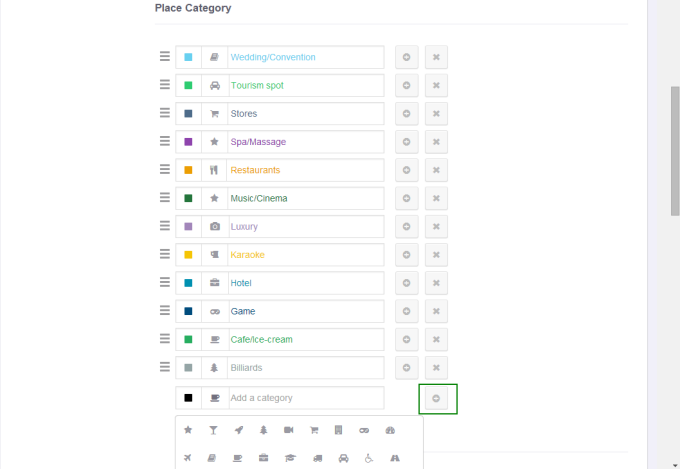 Similar to the place categories, this section allows you to create the locations for the places . Please note that this is not relevant to the addresses users submit when posting place. This address is located in the map based on Geolocation, you don’t have to set up anything. The user has to insert the right address to display it on the map. • Click the “plus” symbol to make a new location. Then press “Enter”. • You can create sub – locations for one location by clicking the “plus” symbol at the end of the main location. 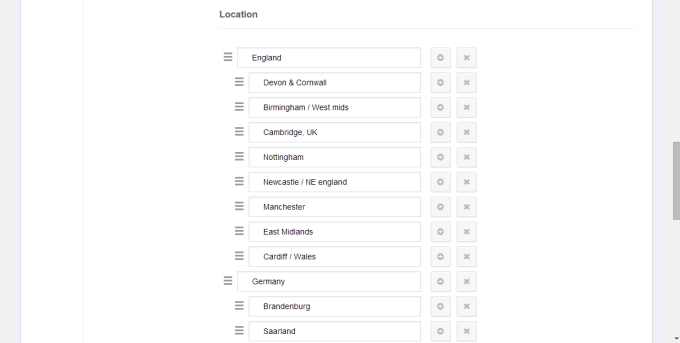 • In addition, you can also arrange the order of the locations just like the way you do with place categories. • And of course, by clicking the “X” symbol, you can delete the location if you don’t want it anymore. In the early days of your website, you can allow users to submit projects for free to get traffic. Choose Engine settings > Settings > Payment and find the option "Free to submit place." 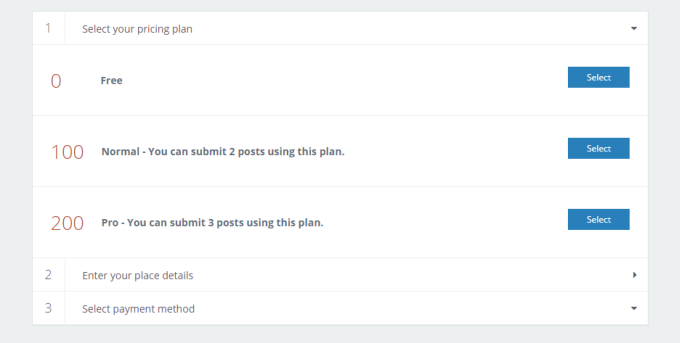 Once you've had your loyal users, you can disable this function and create package plans as guidance above.